The challenge posed to Fluid was to design and construct a "mixed use concept" that allowed for residential and commercial use of a 1970s office block on a humble 160m2 of land area. Further, the client wanted it to be unique and retro aesthetically with cutting edge services. 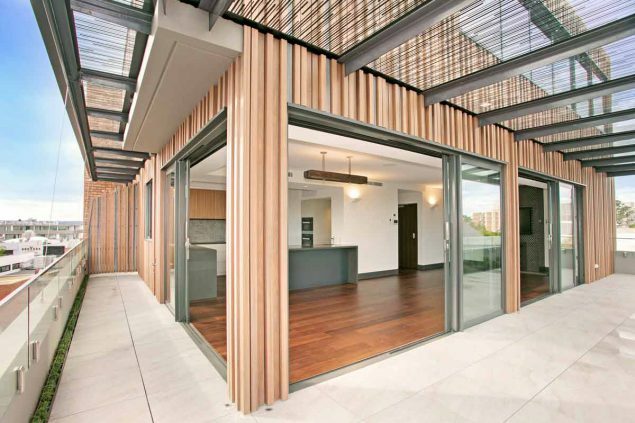 Additions of a glass lift, 3 storeys of living, high class finishes ensured that the project was everything that the client hoped for The building will only get better with age. Extremely tight access, use of new materials and design only made the project even more challenging yet rewarding. Fluid Building Services are extremely proud of the result and have been nominated for multiple construction and architectural awards.